You finally get a hang of diapering your child, and then next week it can seem like you have a completely different kid. There are so many diapering stages and different challenges for each of them. With babies, your life revolves around feedings and the diaper changes that go with them. But by the time they get mobile and start more and more solid foods, the whole diapering situation has changed! 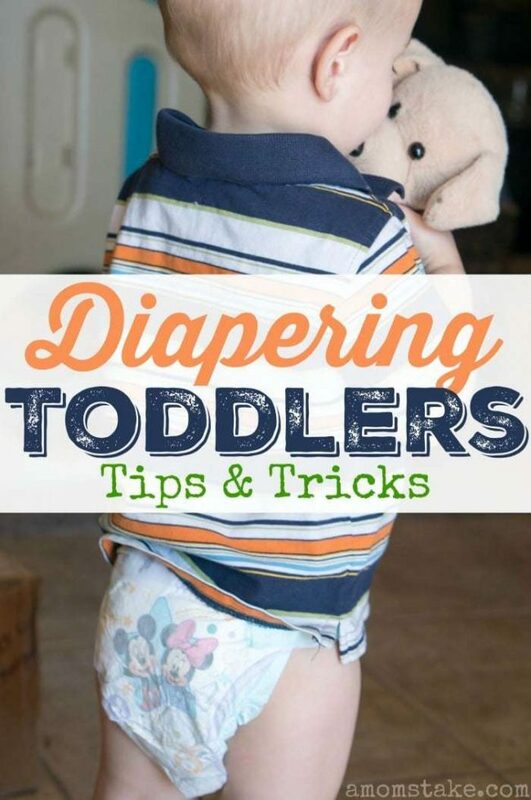 As a mom that has had more than my fair share of diaper changes, raising 5 little boys, I’ve found some tricks of the trade that help with diapering toddlers! Because you know as soon as you gather everything, and get them ready for the quick swap, they’ve already rolled over again and are off! Running away from mommy or daddy is just so much fun! 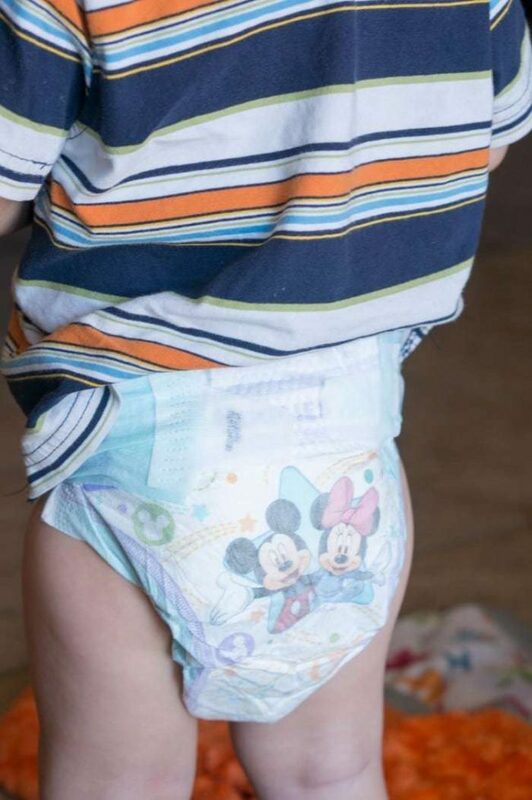 Put the diaper on backward – When your toddler figures out how to pull at the tabs and remove their own diaper, it’s time to flip it around and put the diaper on backward. This simple trick makes it harder for them to remove the diaper and keeps you from extra changes simply because they pulled off the diaper! Pair the backward diaper with bottoms and it’s even more work for the little Houdini’s to escape! Change them standing-up – When your child becomes mobile, they want to be on the go non-stop! Diaper changes will be less of a drag for your toddler if you embrace standing up diaper changes. If it’s a wet diaper, and your tot is busy playing, don’t make a fuss about laying them down, just quickly make the swap and wipe and let them on their way. Poopy diapers can be changed standing up, too, but they’re a bit harder to navigate. Let them “help” wipe – Your toddler is fighting hard to learn new skills and find their independence. An easy way to make diaper changes less of a struggle is by letting your little one think they are “helping”. I always do clean-up duty, then hand my little guy a wipe and he’ll try to replicate mommy, or use it to was his hands, face, or even his toys while I’m busy putting on his diaper. It gives him a sense of being a part of the process, and is practicing early skills that will help during potty training. 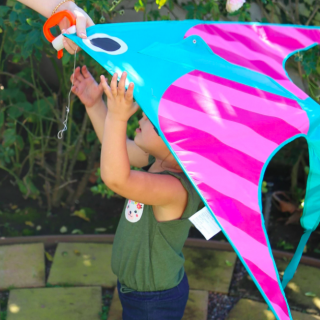 Keep their hands busy – No one wants to stop playing, especially when you’re just a toddler! Make diaper changes as pain-free as possible for everyone involved. 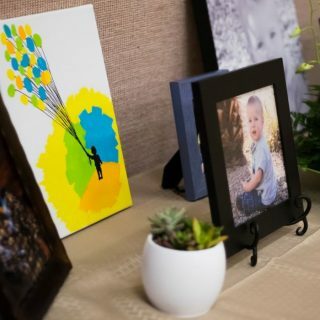 Keep a few items ready to keep them distracted and busy while you’re changing the diaper. One of the all-time favorites was a singing birthday card, that played music whenever you opened up the card! Give them a diaper job – This tip can help in more ways than one! 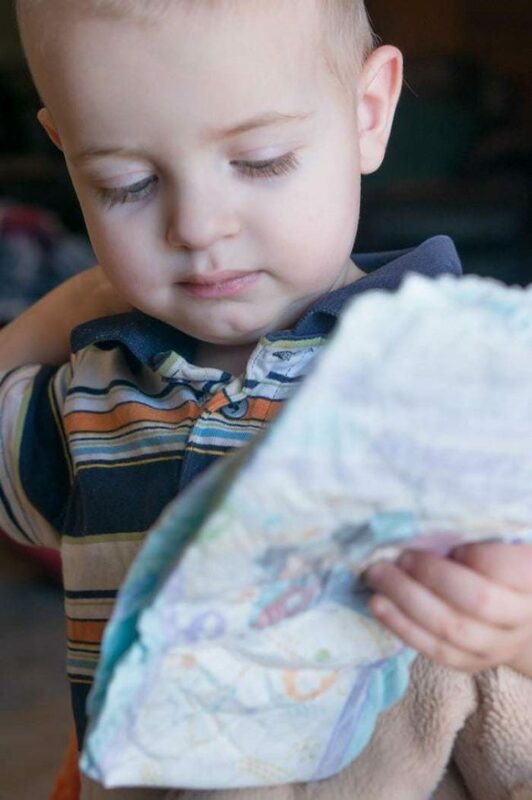 When your toddler is in need of a change, help them to recognize it by getting them involved! 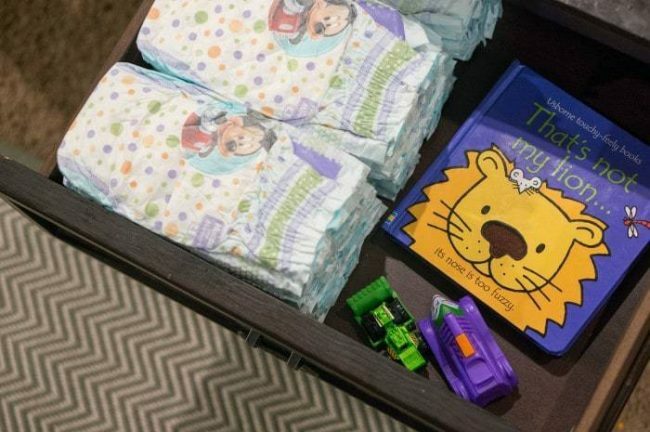 We store all of our diapers in an easy to access drawer on our coffee table. He helps me load the diapers into the drawer whenever we are running low, and when he’s dirty I ask him to help me get a diaper! He’ll also grab a book, car, or other small toy we have beside them. Grabbing a toy and a diaper and it gets him excited for diaper time! It’s also teaching him to recognize his body functions and builds that important vocabulary. Give a bottle/milk before bedtime – It’s easy to resort to bottle & bed, but as your child is growing into a toddler, you can start moving the bottle to before bedtime instead of while they are in bed. Slowly moving a cup of milk earlier and giving a bigger space between bottle and bedtime can help with diapering! Now, when you go to change the before bed diaper, you’ll be keeping your toddler drier through the night and helping with that stay-dry feeling they’ll need to master for nighttime potty training! Use zippered pajamas – You hear the stories all the time, of a toddler painting with their poop. Don’t let it happen to you! If your toddler likes to strip out of their diaper and bottoms, use zip-up pajamas to help keep the diaper on so you don’t wake up with any surprises! Raising a child, you’ll go through a lot of diapers! That means, finding savings is really important! My favorite way to save is by buying in bulk at Sam’s Club. I save a TON of time by picking up one monster box of diapers while doing my other bulk shopping purchases and I’m never out. 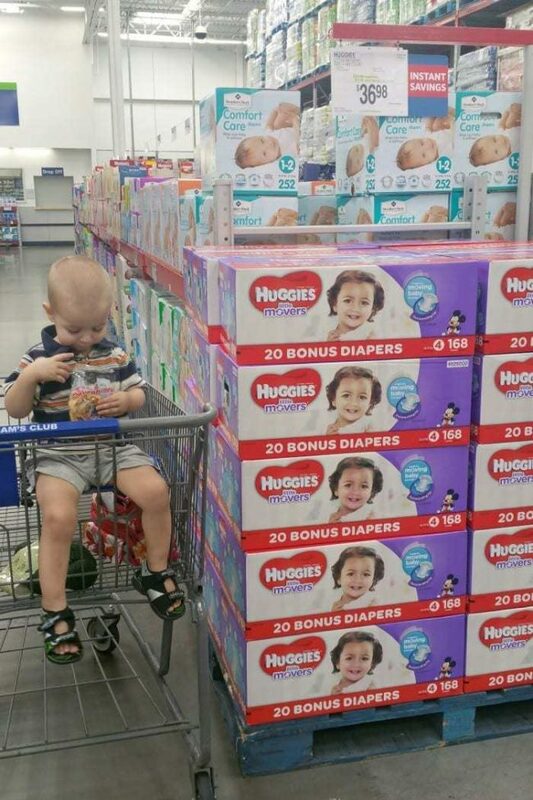 At Sam’s Club, a lot of times they’ll have extras in the box or bonus packs with even more diapers in them. You can also watch for instant savings and stock-up a month or two in advance! 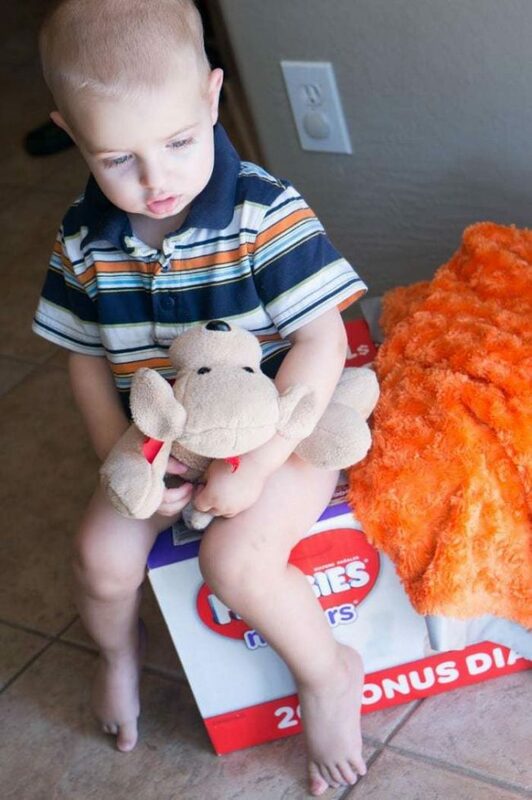 Right now, Sam’s Club has Huggies Little Movers on an Instant Savings of $3 off! The packs also have extra bonus diapers inside, hooray for even more savings! The new Little Movers line is all about flexing and moving with every kick, squirm, run, fall, crawl, and tumble your little one makes. Head over to check out Sam’s Club now for your $3 off savings instantly at checkout (only available for a few weeks!) plus free shipping on diapers and wipes! If you don’t have a Sam’s Club membership yet, what are you waiting for? I love turning to Sam’s Club to shop and save for my family, and cut down on the grocery trips by buying in bulk. Plus, you can show off a picture of how your #MyLittleMover struts his stuff and you could win a $500 Sam’s Club gift card! Just visit the Little Mover campaign landing page for your chance to win! Great tips! I always give diapers as part of baby gifts. They add up in cost so much that I think every little bit helps. Those are great tips! My daughter was the worst about taking her diaper off. Distracting them a bit with something to play with helps a lot. They are so wiggly at that age and want to be doing things! Since my three are pretty close in age I always had a newborn and toddler in a diaper. It was quite the challenge but we made it work. I remember when my kids were in diapers, boy was that a busy time. We did most of these, good luck to all the parents who still have small kids! Great tips! I remember using some of these tips when mine were little. Anything to get a diaper on properly and securely helps! I never would have thought to put the diaper on backwards. That would have been a great idea when my girls were in diapers. When they got older they always tried getting their diapers off. These are great tips. I will have to share this with my friends with little ones. Oh I remember those toddler diapering days. It was so tricky LOL. Great tips! Okay: mind blown. Never realized that you could just put the diaper backward when they’ve figured out how to get a hold of the tabs. 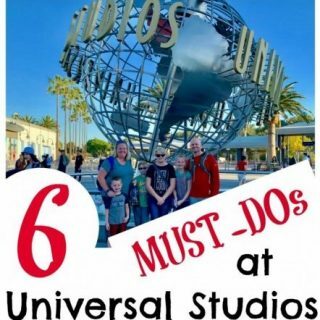 Great list of tips but that one was definitely my fave! Love the turn around tip!! So clever!! All your tips are great though! We went backwards and zippered jammies with our twins towards the end. Toddlers are sneaky little things and even got through duct tape the one time we tried it – lol! These are great tips! It is amazing how much kids change over the course of the time they are in diapers, I know none of mine liked to lay still for a diaper change! 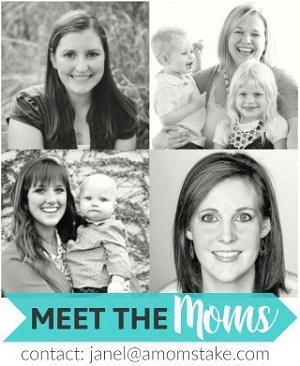 We used to always have the kids help… I would ask them to grab the diapers or wipes, or pass me a wipe or diaper. They loved ‘helping’ Ha! 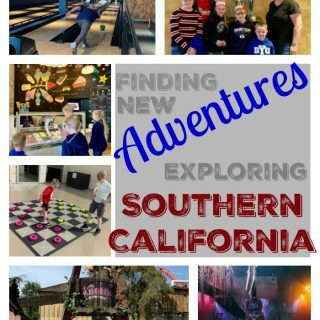 Great tips and post! Thanks for linking up to Merry Monday! Pinned! Have a great week!